Nutritious Moringa Peppermint Drink! 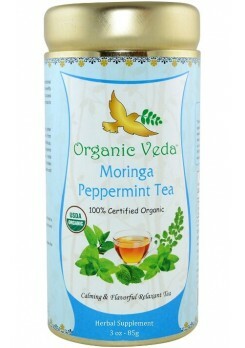 The Moringa Peppermint tea is an excellent energy drink. The tea is excellent source of minerals like potassium, calcium, iron, manganese and magnesium. ✓ Organic Peppermint Leaf (Mentha piperita).